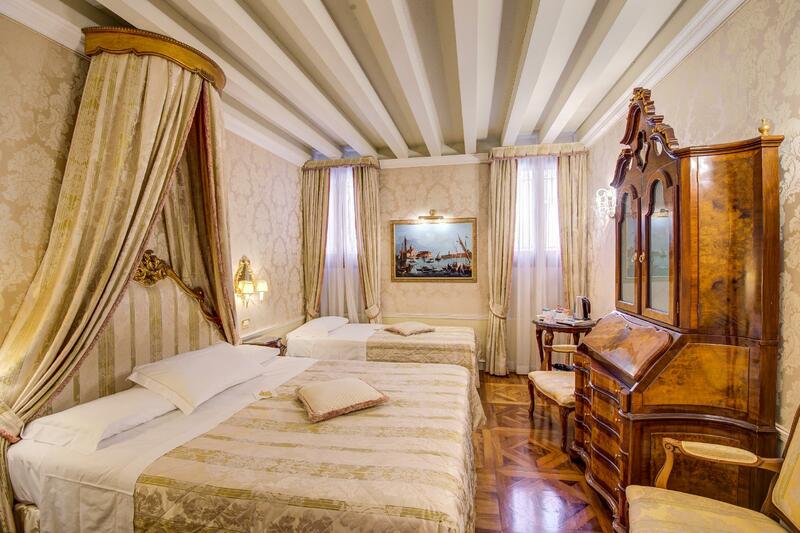 ﻿ Canal Grande Hotel Venice. JIMAT di Agoda.com! Ada soalan mengenai Canal Grande Hotel? Terletak pada kedudukan yang baik di kawasan siar-siar, budaya di bandar Venice, Canal Grande Hotel menyediakan tempat yang paling sesuai untuk anda berehat seketika dari kesibukan hari anda. Hanya dari pusat bandar, lokasi strategik hotel memastikan tetamu boleh ke mana-mana sahaja dengan cepat dan mudah ke tempat-tempat tarikan. Persekitaran yang terjaga dan kedudukan berhampiran dengan Venice 2000, Chiesa di Sant'Andrea della Zirada, Gibigiana memberi hotel ini daya tarikan istimewa. Ambil kesempatan daripada pelbagai perkhidmatan dan kemudahan yang tiada tandingan di hotel Venice ini. Tetamu hotel boleh menikmati kemudahan seperti Wi-Fi percuma semua bilik, kasino, meja depan 24 jam, fasiliti tetamu kurang upaya, daftar masuk/daftar keluar ekspres. Hotel-hotel telah direka demi keselesaan dan memudahkan tetamu. Sebahagian bilik menyediakan linen, cermin, tuala, almari, internet wayarles (percuma). Senarai lengkap kemudahan rekreasi boleh didapati di hotel, termasuk rumah urut. Canal Grande Hotel adalah destinasi sehenti anda bagi penginapan hotel berkualiti di Venice. Katil tambahan adalah bergantung kepada bilik yang anda pilih, sila periksa polisi bilik individu untuk maklumat lebih lanjut. Jika anda perlukan katil tambahan, caj tambahan akan dikenakan. Harus guna katil tambahan yang akan dikenakan caj tambahan. While booking new year vacation starting December ending January, mistakenly booked this hotel for wrong month. Arrived at hotel 2 days after reservation and month before actual arrival, (as we didn’t know we had mistakenly took wrong dates), and even though it was clear to both sides that’s a very honest mistake, the only feeling we got is that they just don’t care, and won’t consider any kind of partial refund. I was particularly surprised because they had no damage from my order, since hotel and room type was vary vacant at the time, and since I agreed to take even partial refund, and because of their high rating which doesn’t fit such a behavior. Agoda called them by the hotel insisted. Must admit Agoda acted surprisingly well on this event, but the hotel, with his wish to gain from my loss, only made me feel like I’m walking money bill. The location is great. Very near to train station. A 5 min walk across the bridge. Easy access to good food. Nice place. We upgraded to a suite room with Canal view. Great view. Staff are extremely friendly and helpful. Highly recommended. The whole experience was just like a dream to me! Every personal in the hotel was very welcoming and friendly, and the room they reserved as my requested was too beautiful to be true! 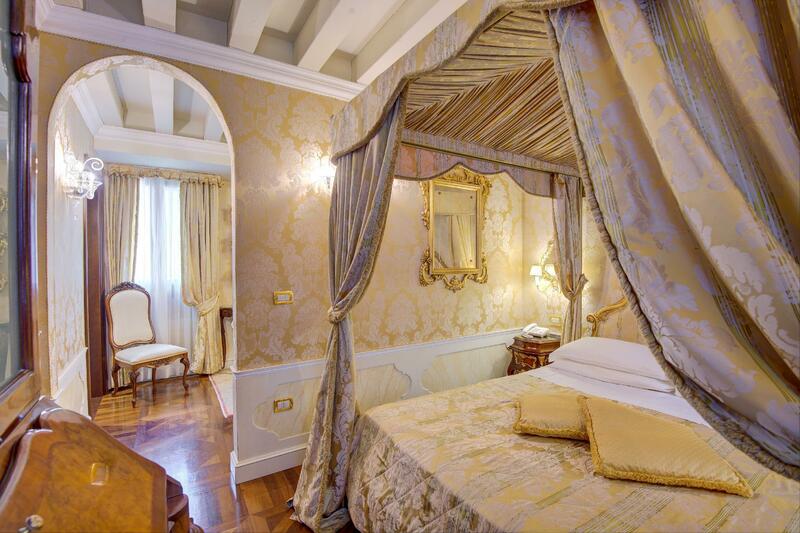 We’re on our honeymoon vacation and stop by Venezia for just one night. After pre-checking and stored our baggages, the waiter at the reception introduced the Venezia with lots of useful information and a map. The waiter even told us there would be a water taxi which will drive us to and from the Murano for free. They don’t have to and yet they reserved The Room that I really really want. It really made me feel surprised and I couldn’t be more happier!! (They even moved our stored baggage’s to our room before we checked in!) The waitress took us to our room and introduced the room’s facilities in person. The room was so beautiful that I couldn’t describe it with letters! Just one night was really too short! I wish I could stay more couple nights here!! The hotel is conveniently located and is quiet. The room with the terrace was comfortable and the opportunity to sit on the terrace and watch passing traffic made it much more so. Hotel staff were helpful with any requests and breakfast was fresh, plentiful and well presented each day. 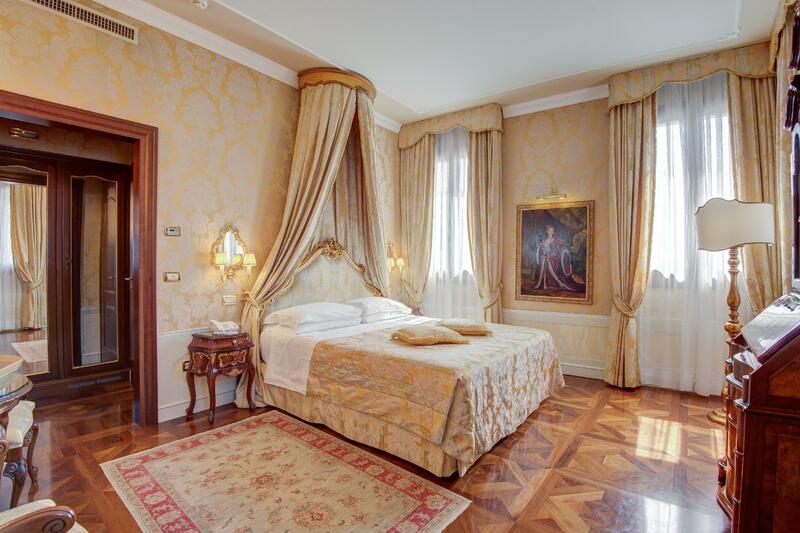 We had a very good time staying at Canal Grande. The room was clean and beautifully decorated. The toilet amenities were all there as well as slippers. There weren't many mains for sockets in the room that we were staying (standard double), so if you have many electronics that need the main you should prepare the necessaries. There wasn't any tea/coffee making facilities in the room but if you ask a staff will bring up a tray so you can make it in your room. Breakfast was good with lovely coffee & tea, cakes & biscuits, fruits & muesli, cold meat & cheese and bread. I would prefer fruit juices without added sugar and hopefully I will see it in the future. We stayed over end of March when Venice is not too busy yet so we weren't disturbed by noise from the street/river. On the weekend, outside the hotel there are some local youths kicking footballs - they kicked it very high up and hard so just be aware. The hotel is very close to the train station as well as water bus stop. There are a couple nice restaurants nearby Antica Besseta and A1 Garzoti. Next to A1 Garzoti is a supermarket where you can get bottled water. The staff are very friendly and helpful and we had a very good experience with the hotel. We will definitely stay here again when we return to Venice. Nice stay, the young staff members couldn't be more helpful. The older lady at the front desk was a bit rude (refused to help with water taxi airport transfer as I booked it myself after being informed no water taxis available - language barrier perhaps as they meant just that one previous day) and calculated tax wrong. 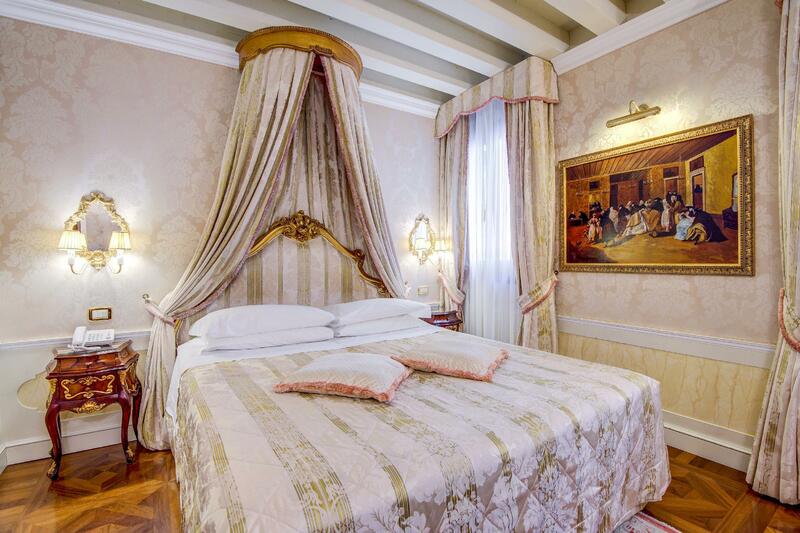 Coming from a Florence bnb I was delighted to check into Canal Grande hotel. Right from the start before my arrival I had emailed to the hotel asking about transport options to and from Venice train station and airport and the staff had been v responsive and provided clear directions. That had left me with a good first impression (I didn't get any response from another Venice hotel I had shortlisted). Upon arrival at the hotel I introduced my first name and asked if they needed my booking details. The lady surprised me by greeting me with my full name without looking at anything for reference. The staff obviously had done some clear homework on their guests arrival. I was really pleased, it later proved to be a v hassle free check in with the staff providing a map and recommendations on getting around. Room was fabulous with bath robes, good space area, comfortable bed and breakfast was fantastic with a wide selection of bread and ham. 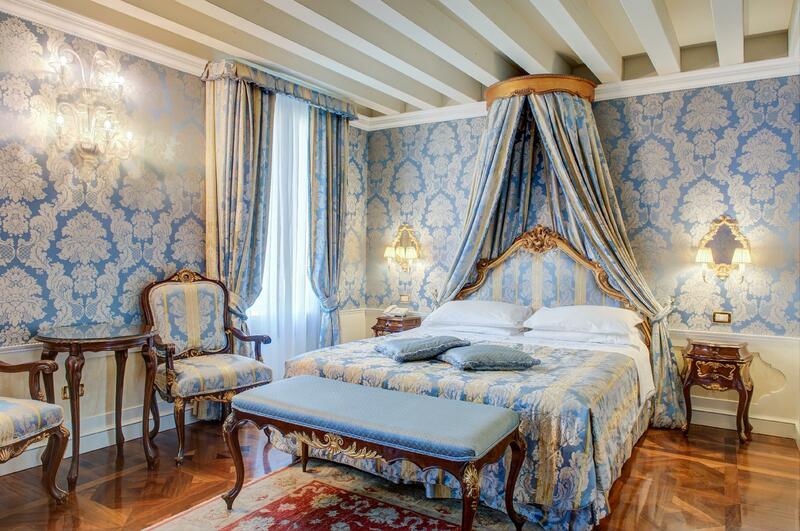 There is no doubt that this hotel is one of the finest in Venice and that I will certainly revisit again. Great location and fantastic staff. Quiet location as we don’t like crowds but could walk to all the tourist attractions. Water taxi right out the front of the hotel when needed. Nothing was too much for the staff. Delicious food and drink and coffee was the best I have had in a long time. 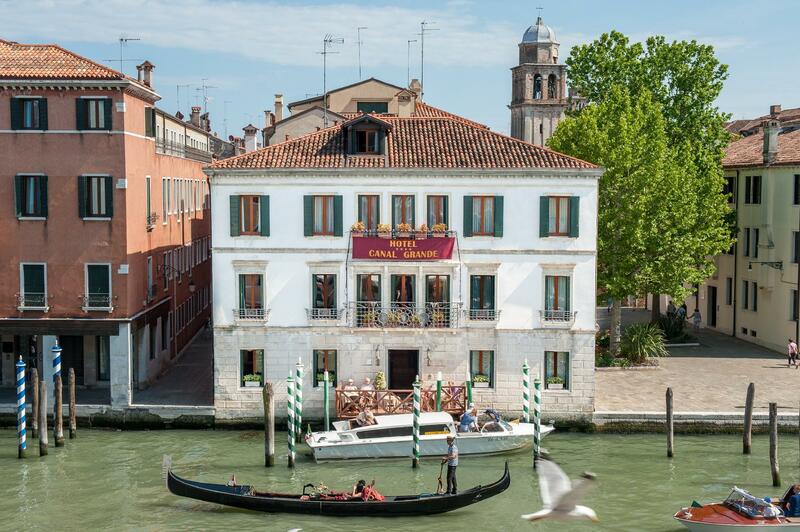 Fantastic location on the Grand Canal, very convenient to walk around or the water transportation is very close. The staff was friendly, helpful and made us feel welcome. We enjoyed drinks on the waterfront deck which was a very nice experience. I would highly recommend and would stay again when in Venice. The hotel is close to the train station and Bus station. Zapporetto stop was also close by. I really enjoyed staying away from the most crowded tourist areas around St Marks and there are lots of good restaurants and cafes across the bridge in the Cannaregio area. I would definitely stay here again. Ulasan ini telah membantu seorang pengembara. Anda juga? I can't rave enough about this hotel! The staff was just the cherry on top. The room was fit for a king and everything was extelremely clean and in good taste! We literally felt like royalty staying here. Its a 6 minute walk from the train station which allowed us to get lost on our last day and still make it to the train on time. Did I mention exactly how wonderful the staff was? We were in a rush to get to the other side of town for a tour and didnt have time for breakfast, they insisted we take something to go. Never had that kind of service before - and always with a smile!!! From the moment we entered to the moment we left they made us feel so welcomed. Not to mention, we got engaged right on their breakfast balcony on the grand canal and I'm still gushing. I've never had a better stay at any hotel in my life and am so looking forward to being back next time I stay in Venice!!! Not too far from the train station, but keep in mind, there are lots of bridge to pass to go to the hotel which can be inconvenient if you carry big luggage. The staff were very nice and helpful. Great location. Roberto, Ramon, Alex and Valentina are amazing. Breakfast is delicious. The rooms are traditional and modern at the same time. Great place to stay. I will recommend it . Friendly Stuff, Outdoor Breakfast Area with Great View, Room is clean and Comfortable, Near to the transportation terminals !!! The hotel staffs are very nice and helpful. Super friendly. But I think the value is overrated for the hotel room. Excellent hotel, with great, and very informative front of desk staff, fantastic choice of breakfast options although dining room is small and may prove a problem to accommodate guests if they all wanted breakfast at the same time. Bedroom, although on the small side, and en-suite were well appointed. Hotel is approximately 30 - 40 mins walk from the main tourist location and at times very frustrating to know where you are due to very poor street signs. Only stayed for 3 days but wished we had booked for another day. Will be going back there soon.